I woke up feeling well rested and feeling GREAT! I was greeted with a hearty meal and made me feel SPECIAL! After that, I got up refreshed and I was planning to hit the slopes first thing in the morning. I was overwhelmed the moment I arrived Park City. It's snowing in Utah! 500 inches of deep light powder that blows up behind me with every turn. "Oooooh... The Powder" I told myself "it's just a dream, this isn't real, WAKE UP!" I looked up and I was greeted again by another snowflake. Utah is known for three things: incredible snow, easy access, and the total range of lodging possibilities that fit any budget. Snow, accessibility, affordability, what more could you want? 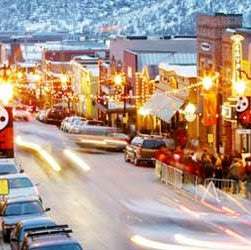 Nestled at the base of the Town lift is historic Park City, teeming with galleries, theaters, restaurants, bar night clubs, coffee houses, micro-breweries, shops, spas, and more. Rated one of the top-ten best ski towns in America by Skiing magazine, it's the perfect place to be when you're not on the hill. 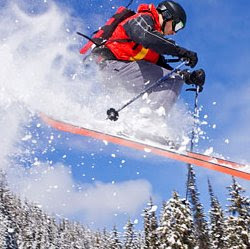 Before you head to Park City, make sure you have made arrangements for ski equipment rentals from Park City Ski Rentals so you're ready to hit the slopes first thing in the morning instead of standing in a rental line! Well, I am a never-ever skier, so I was clueless and constantly struggling for balance. After a few minutes, that felt like a life time had passed, someone came and approached me. As I began to turn my head to see my hero, I woke up!!! Oh, it's just another dream! I need to go on a skiing vakasi too! I woke up then saw WOAFS was PR1, aiyooooooo panic I tell u hahahhahah! Recent blog:=- Let's Go to London! oh I oso dunno how to ski :-D u know how to play ice skating kah? Speaking of dropaholic, u noticed or not ur widget on GG's blog is showing at her dropaholic widget but it's not ur link....it's linking to Jean's squared? Last time the same thing happened to MPG! She was showing up at some blogs dropaholic widget but linking to the other blog, dunno why.... but now okay edi... MPG links back to her proper URL. hahahhhah so funny lah have to restart yr lappy then back to PR4! Funny it seems, I panicked la terus wrote sad email to LJ to complain hahahahahhahahahhahaha! oh no! how come WOAFS PR1? I didn't check TUO!! huh???? my widget is linking to Jean's squared? Gagay, why like dat?!? Yay hope so too Mon! Drop like mad panda tak kan la cannot appeat at TUO this month yeeeeha! oh I didn't notice that...will go to Gagay's blog later! hahahahha terus wrote sad email some more! don't panic! don't panic! Yeah u imagine la baru bangun blur donno what happened then missed ur buzz2, then I saw pr1 at woafs….almost heart attack ROTFLMAO!!! EH Mon how come u don have CMF here eh??? Morning Mariuca! aiyo why so stress?? wah u can check TUO alexa ranking oso? hmm how do u know its improved? I’m doing my Top 10 Meows post now hohohoho!!! He he eh it was fun!!!! Every week have to walk to the ice skating rink to skate, whole class hahaha! oh ok later I go see yr left sidebar.... hmm I don have PW oso! awww don't cry k hugsies! 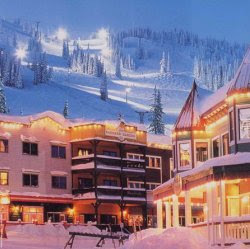 Never touch or seen real snow Mon.. would love to be on ski vacation one day!!! ahhaha.. what a Funtastic dream!! Recent blog:=- Well, who would have figured! now that's a wonderful dream. te mon, i have some thing for you here! I haven dropped or clicked or anything yet today!!! Hungry hippo too now he he!